When I called Breitbart Texas editor Brandon Darby on Tuesday afternoon and told him that House Majority Leader Eric Cantor (R-VA) was about to lose his congressional primary race to Dave Brat, he could hardly believe it. Darby was busy putting together his next scoop on the U.S.-Mexico border, following up his amazing story about illegal alien children being “warehoused” by federal authorities in crowded makeshift facilities. That story has been one of the biggest news events so far, in a very intense year. Not just in conservative media, but in the media in general. The Huffington Post led with Brandon’s chilling images; CNN has covered the story extensively; and international news outlets have also followed Breitbart Texas’ lead in documenting what both sides of the American immigration debate agree is an acute humanitarian crisis of staggering proportions. Brandon did not time his scoop with the intent of affecting a primary election across the country. Yet the news of thousands of children being dumped on the U.S. border, and shipped from facility to facility and state to state like so much cargo, seized attention in Virginia and nationwide. As the New York Times noted earlier this month, nearly 50,000 children have been caught crossing the border since Oct. 1–a 92% increase over last year. There is reason to believe that the increase is being driven by expectations that illegal alien children will not be deported, and will eventually become U.S. citizens, thanks to President Barack Obama’s executive actions, as well as efforts in Congress to pass immigration reform. Republican leaders in the House–like Cantor–had found some room for agreement with Democrats on legalizing those who entered the U.S. illegally as children. That is why Dave Brat’s charges of “amnesty” stuck to Cantor, even though the Majority Leader had resisted the Senate’s “comprehensive” bill in favor of a piecemeal approach. The simple fact was that Republican leaders in the House were determined to move ahead with some kind of immigration reform prior to securing the border, violating an understanding that the party seemed to have reached with its base in reform efforts a decade ago. As conservative talk radio host Laura Ingraham acknowledged, Brandon’s reporting introduced new facts that shifted the political landscape. On the surface, nothing seemed to have changed: Cantor was far ahead in polls, Brat was at a severe money disadvantage, though fighting an honorable fight. Yet the terrain on which that political battle was taken place had moved–not just marginally, but tectonically–beneath the candidates. In the wake of the 2012 presidential election, there was much gloating on the left about a “right-wing media bubble”–some of it deserved, given how contemptuous many conservative journalists had been to polling data. Yet in the wake of Tuesday’s political earthquake in Virginia, it is clear that the mainstream media have their own bubbles–as some journalists acknowledged Wednesday, crediting Breitbart News’ coverage of the race. 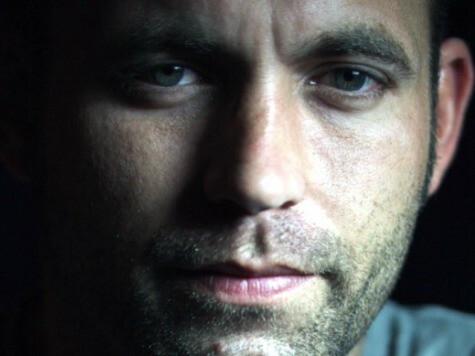 Brandon Darby deserves credit for a story that has not only drawn attention to a pressing issue that demands both sympathy and resolution, but has also had a major impact on politics in this country. Far beyond the effect of Brandon’s story on the issue of immigration reform, it is again clear, after Tuesday, that no representative is safe from challenge. That is good for democracy–and an achievement for which Brandon deserves credit.